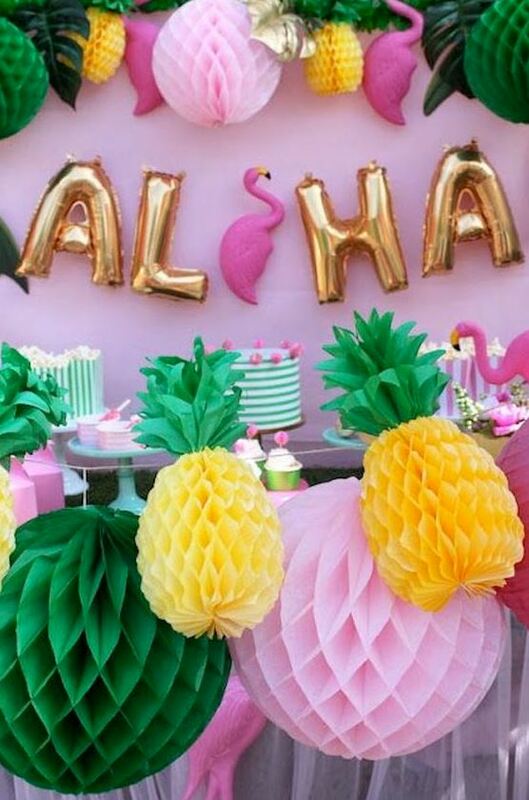 The Hawaiian party theme encapsulates all the things we like about celebrating with friends and family in the sun. 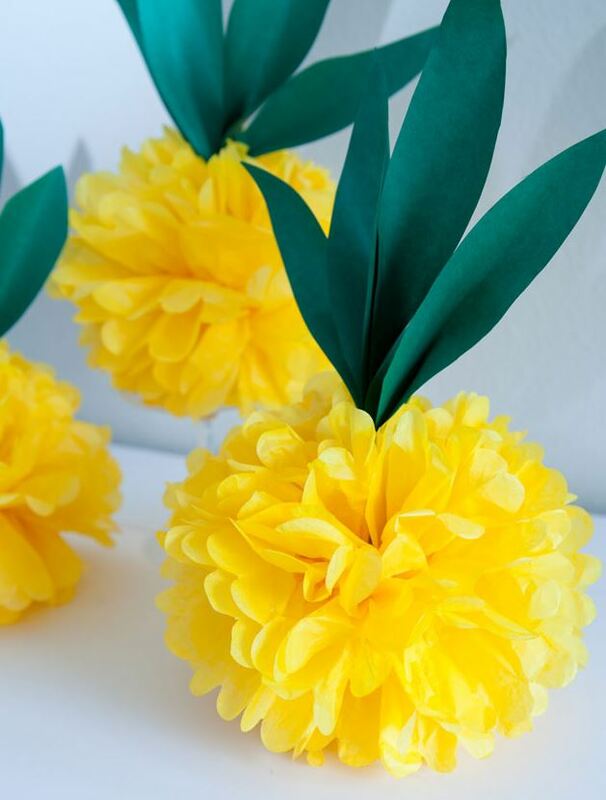 From paradise locations to vibrant decorations, exotic food and drinks, the traditional Luau festivities in Hawaii are a kind of euphoric extravagance that you can replicate both home and away. 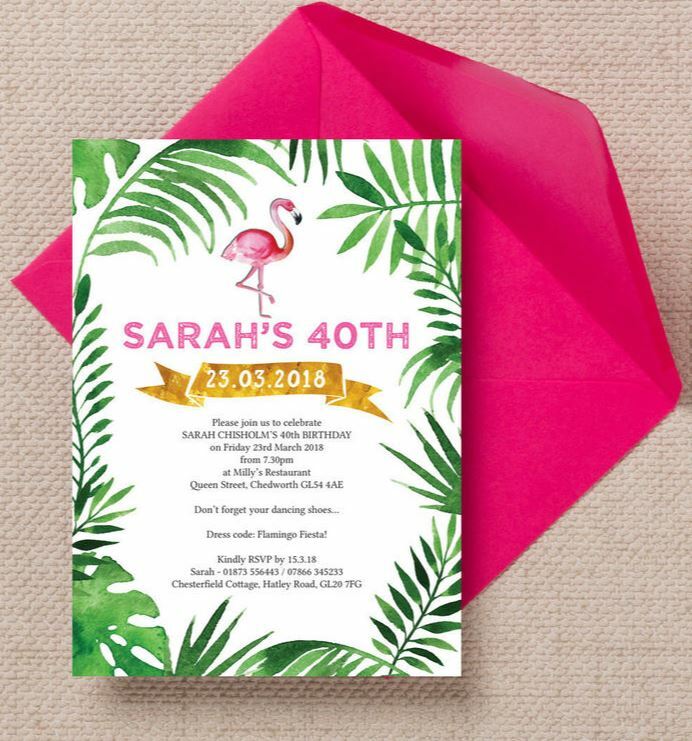 Set the tone with a fetching flamingo themed invitation to immerse your guests in the tropical spirit. 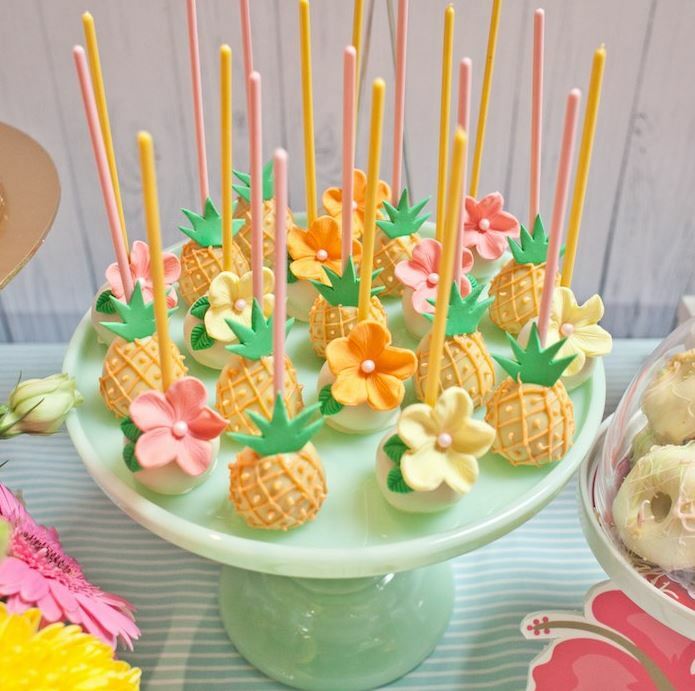 Make your feast tables reflect the Luau spirit with palm tree, pineapple and flowery themed treats aplenty! 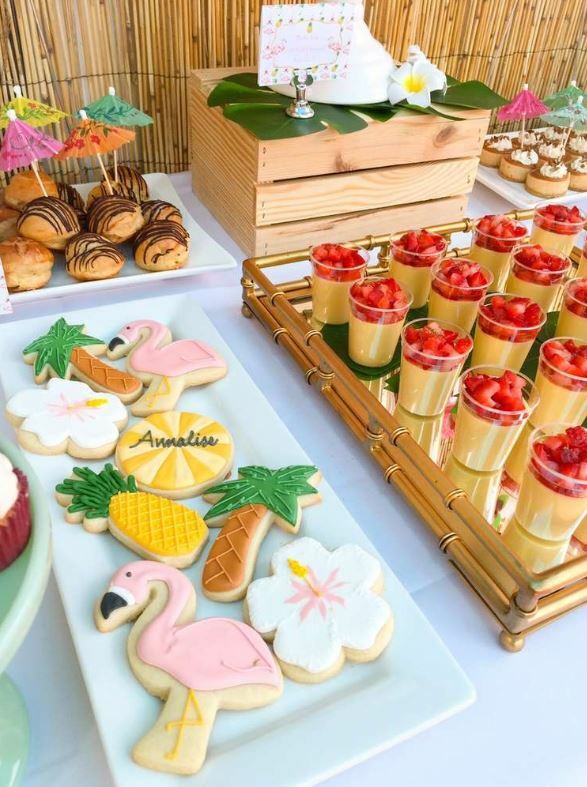 Lay out a few creative finger foods for everyone to indulge in before you sit down at your party table. 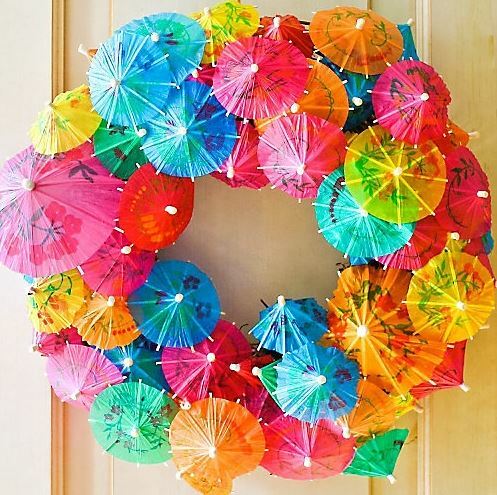 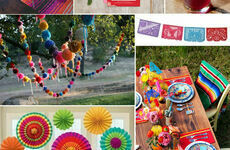 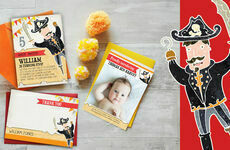 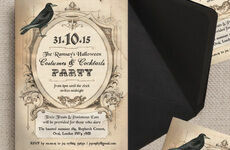 It's all in the details - bring your birthday bash to life by adding a splash of colour to the corners of your venue. 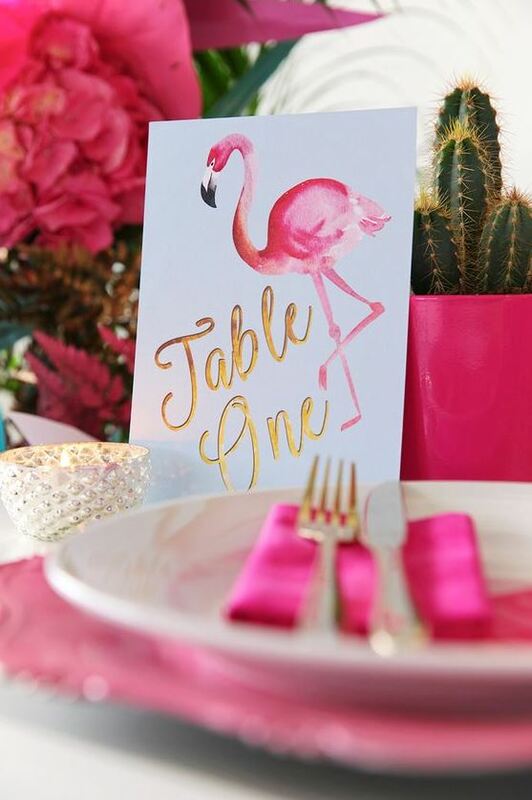 You can't go wrong with a flamingo party table, dressed entirely in hot pink tablecloth, plates, napkins and other vivid embellishments. 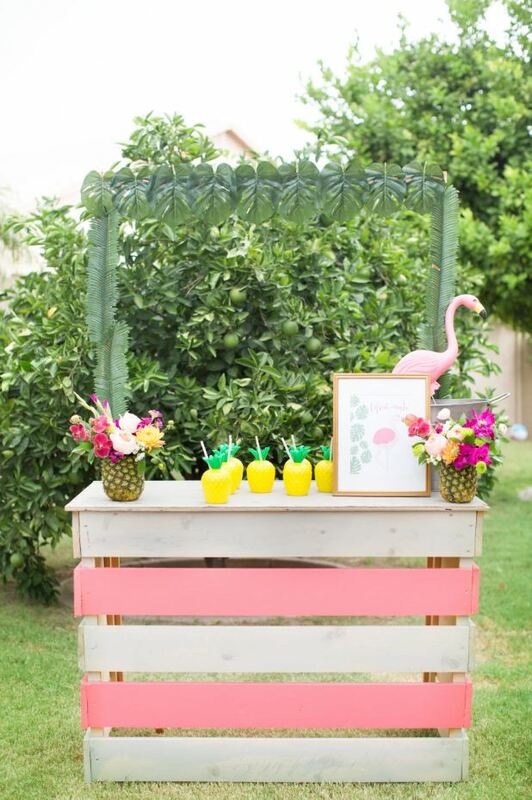 A makeshift bar in the garden will be the talking point of any tropical party. 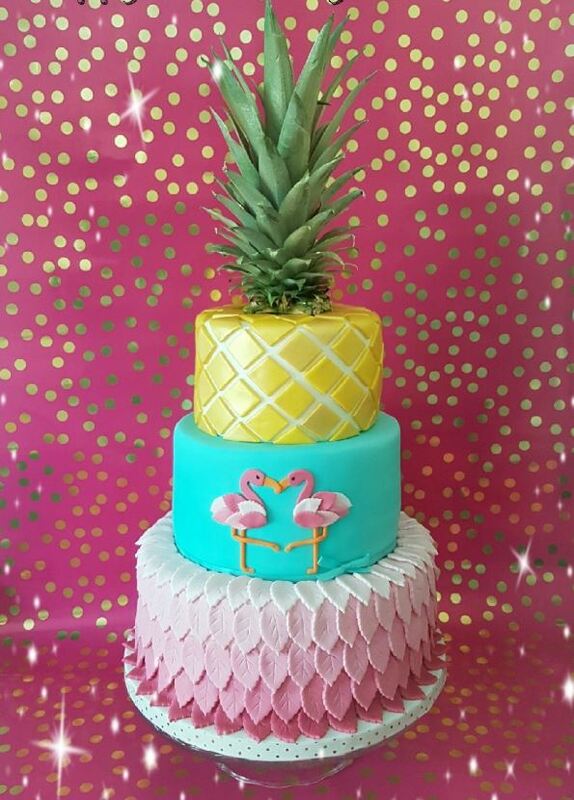 Half flamingo, half pineapple - create a truly eye-catching cake that epitomises the Luau theme in one stunning centrepiece.